How to merge / gather tasks from different subjects into one subject ? Tasks can be shared on one or more subjects (multi-homed). It means you can gather tasks that are initially on different subjects to merge them into a single view for example. 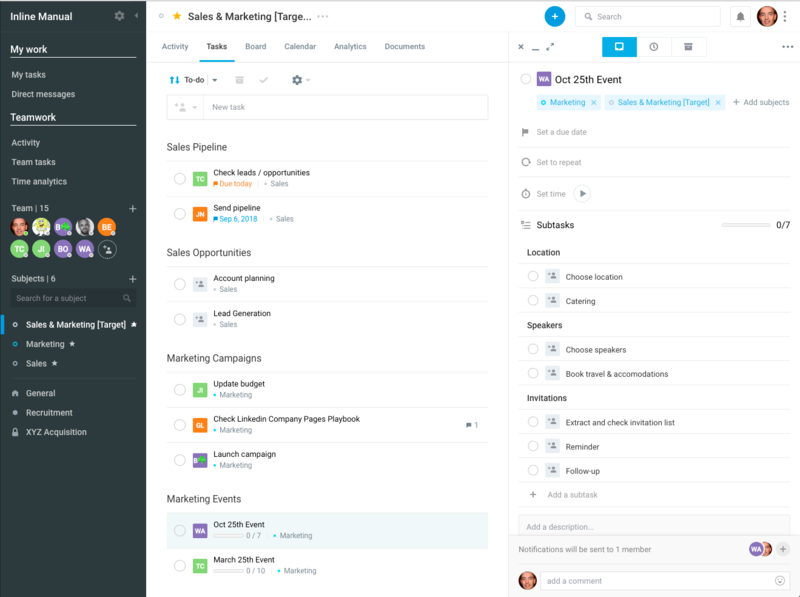 Let say you want to merge Sales and Marketing activities into a single subject, because teams are gathered or simply to get a composite view. 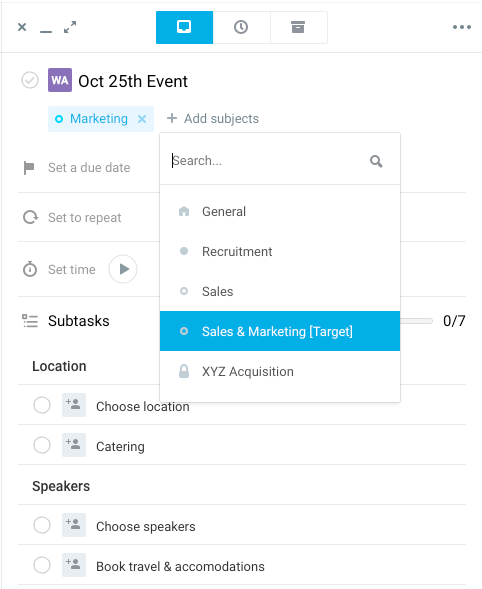 If needed, create the "merge" subject where tasks from the different subjects (Marketing, Sales) will be gathered. 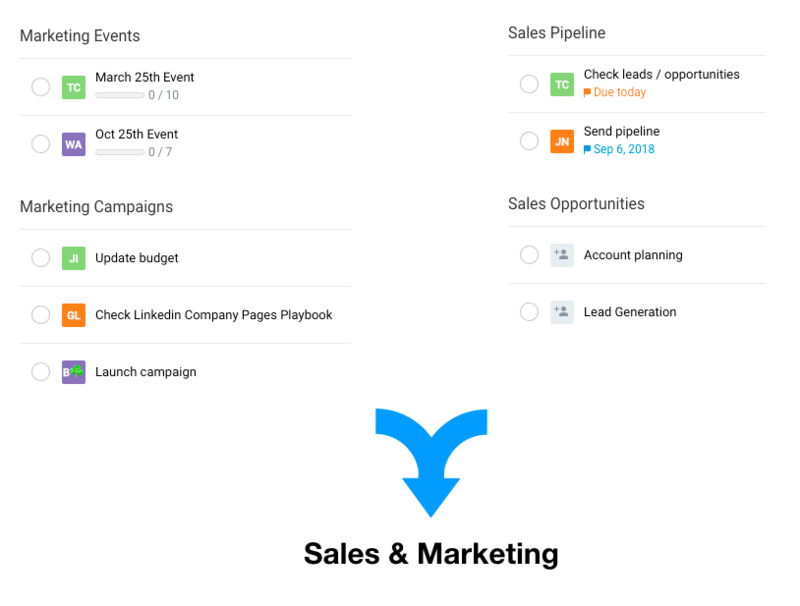 The tasks will then appear on each subjects' tasks list (both Marketing and Sales & Marketing [Target]). Tasks can even have a different order for each subject, allowing to manage priorities more or less globally. You can also share only selected tasks on the merge subject, to exclude the other tasks you don't want gathered in that global merge subject.